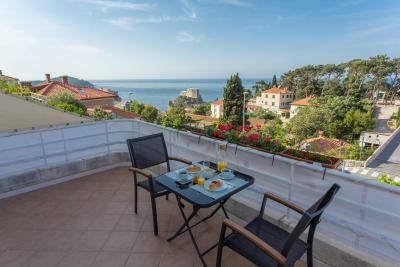 Lock in a great price for Villa Benic - rated 9.6 by recent guests. Loved the properly. 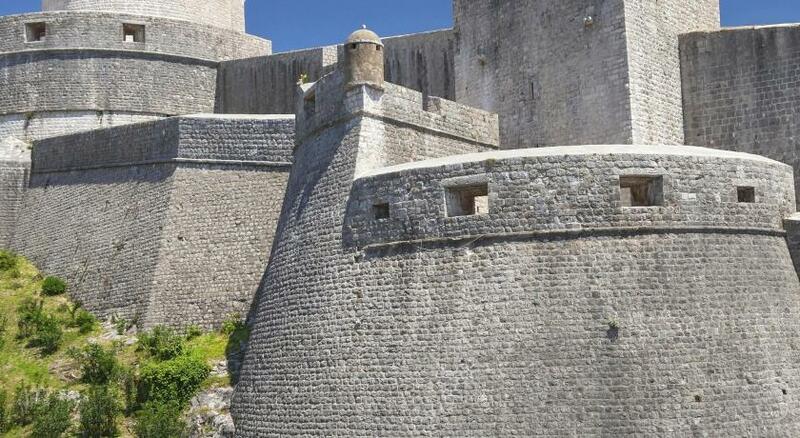 Great views of the town and fort from our large terrace. Very private space. We could leave the French doors open and still be private. The room was a nice size. Sufficient plates etc. for snack meals. Our host was very helpful booking airport transportation and also a lovely boat ride to islands with a great lunch at the boat captain's home. Air conditioning was good. Quiet even though on the road because setback and good windows. Warm, friendly hosts. Very accommodating. 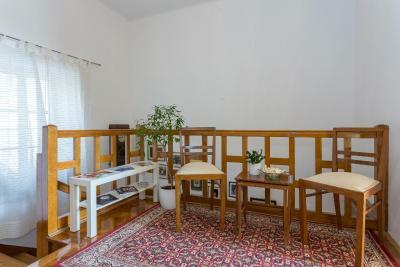 Excellent area close to the Old City - within walking distance. Accommodation has a view of the Old City. Also close to bakery, market. Free parking. 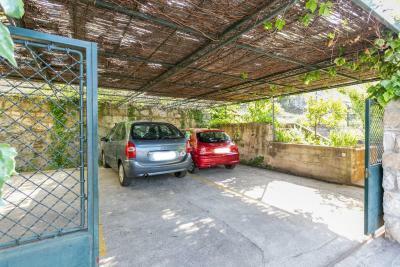 This is a plus as parking is expensive in Dubrovnik. Djivo and family were excellent hosts, they were very friendly and accommodating. Bed was large and very comfortable. View from balcony was amazing. 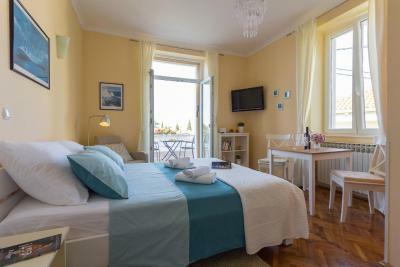 Our experience of Villa Benic was exceptional...couldnt fault a thing. Bed was extra comfy and the whole house was immaculatly clean. Djivo the host was very informative and pleasant to deal with. Dont delay in booking this property. Had a great stay. Exactly as expected- clean and comfortable. The view is amazing. The family are friendly and only a short walk to the centre. 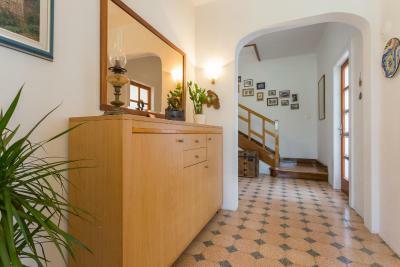 Beautiful home set within walking distance of the Old Town - Wonderfully helpful & welcoming host made sure we had everything we needed upon arrival. 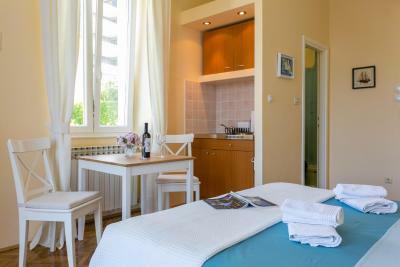 Spacious and clean throughout with great bathroom - Perfect for our 3 night stay. The view of the sea just made it perfect! The owners are super helpful and kind. The room is beautiful and the view from the room is pretty great. The location is right outside the old town, the stairs to go to the old town are just in front of the villa. Beautiful sea/old town view from balcony. Owners very friendly and helpful. Close to old town. Parking on site. Lovely room (room 2) with everything we needed.excellent place can’t recommend enough. 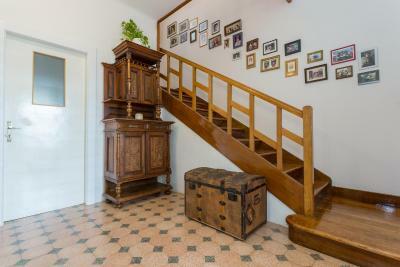 Villa Benic is in a great location to explore the old town as long as you don't mind steps! Our room was lovely and the bed unbelievably comfortable. We arrived early and that wasn't a problem. The hosts made us very welcome and gave us lots of local knowledge. In a busy city a place of calm. Have to say a huge thanks to Nada for going above and beyond to return a left behind mobile phone! Would recommend highly and hope to return one day. 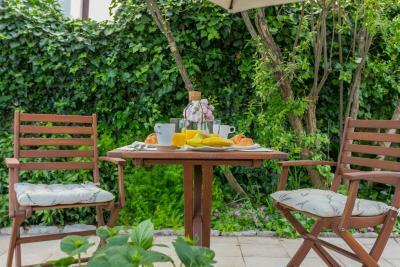 Surrounded by greenery, Villa Benic enjoys a quiet location, only 800 yards from the UNESCO-protected Old Town of Dubrovnik. 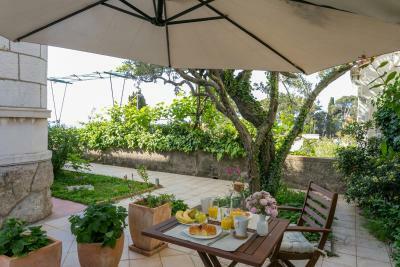 Housed in a stone building, it offers air-conditioned accommodation with a sea view from its furnished balcony or a patio. Free Wi-Fi is provided. 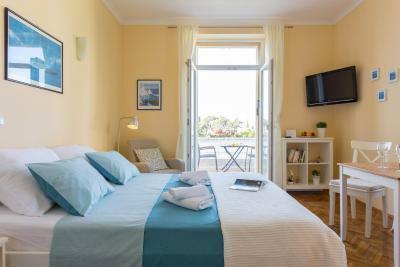 All accommodation units come with hardwood floors and comprise a flat-screen satellite TV and a private bathroom. 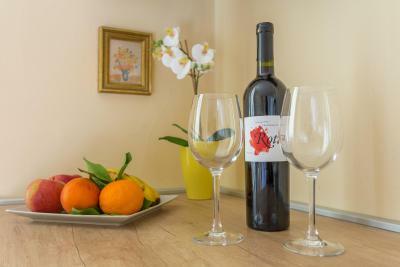 Amenities in rooms include a fridge and an electric kettle, while studio features a kitchenette. 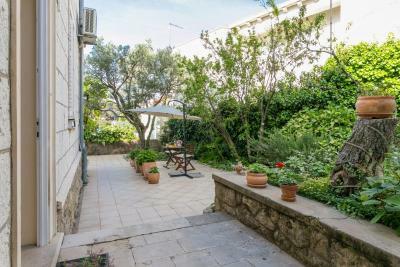 Guests can relax in the lush and well-kept garden with a seating area and barbecue facilities, or enjoy the famous Stradun Promenade and Dubrovnik’s vibrant centre with numerous bars, shops and restaurants, which is a 10-minute walk away. 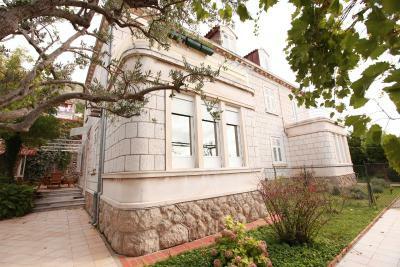 The nearest grocery store and a bar are 50 yards from the Benic Villa. A well-known Banje Beach can be reached within a 15-minute walk. 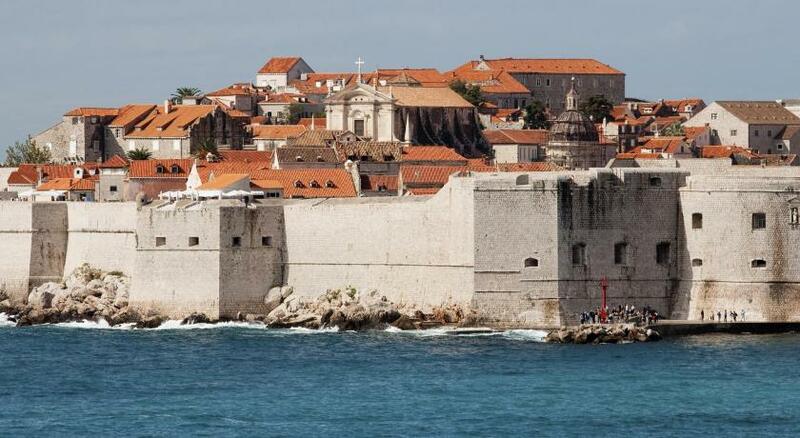 Dubrovnik Airport is at a distance of 12.4 miles and a pick-up can be arranged upon request. Free enclosed private parking is possible on site. 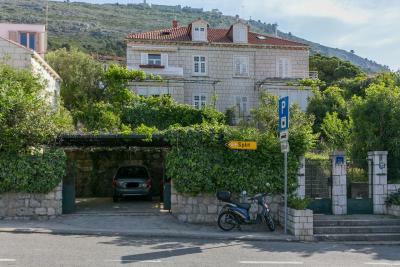 This property is also rated for the best value in Dubrovnik! Guests are getting more for their money when compared to other properties in this city. 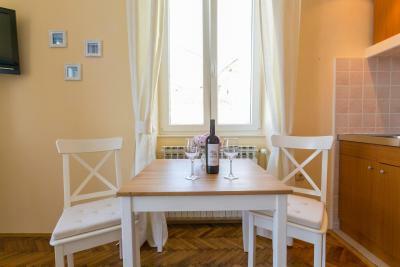 Villa Benic has been welcoming Booking.com guests since 26 Apr 2012. 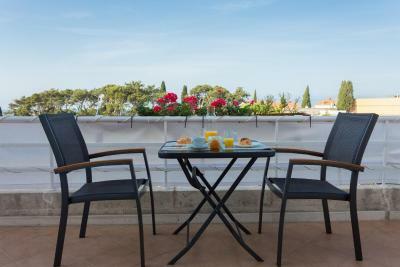 When would you like to stay at Villa Benic? This air-conditioned room with hardwood floors features a private external bathroom with a bathtub. Amenities include a flat-screen satellite TV, an electric kettle and a fridge. 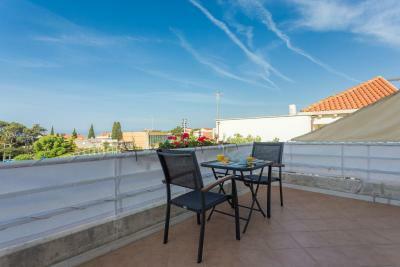 It is situated on the 1st floor and includes a shared terrace. Please note that the room rate is based on 2 guests. 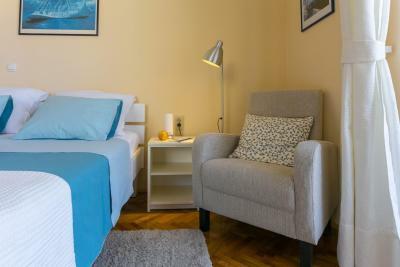 This air-conditioned studio with hardwood floors features a furnished balcony, a flat-screen satellite TV, a kitchenette and a bathroom with shower. It is situated on the 1st floor. House rules Villa Benic takes special requests - add in the next step! Guests must be quiet between 19:00 and 09:00. 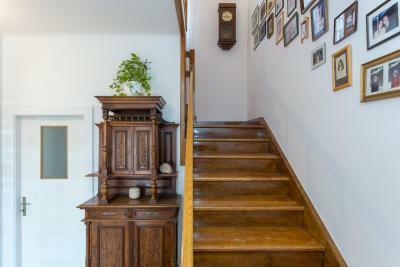 Please note that this property is accessible only by set of steep stairs from the street level. Please inform Villa Benic in advance of your expected arrival time. You can use the Special Requests box when booking, or contact the property directly with the contact details provided in your confirmation. Friendly and helpful owners. Highly recommend the room with the balcony. Lovely view from the room . The apartment was very clean and comfortable. 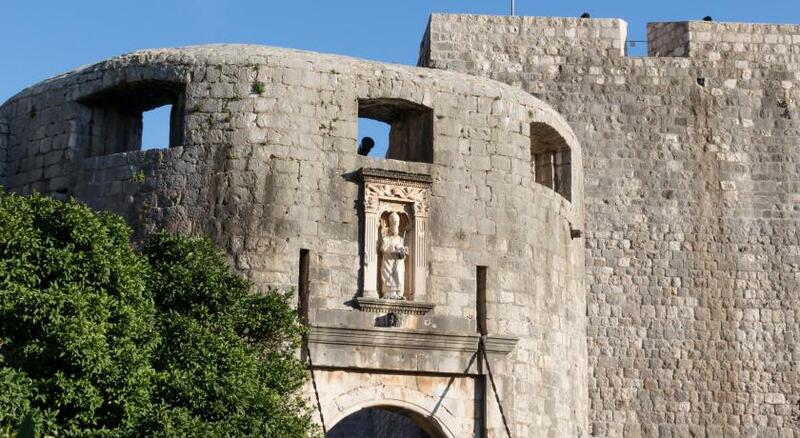 It is only a 10 minute walk to the city gates but it is very steep. If we were younger than 70 and with better knees it wouldn't be a problem. Also it is possible to walk 5 minutes longer down the road with no stairs. 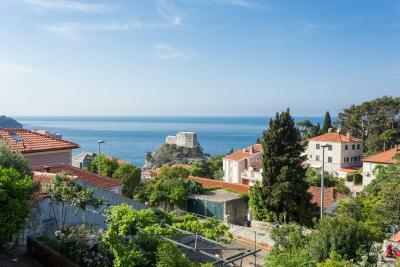 The view comes at a cost as the Villa is at a much higher level than the Old Town. You have to walk up many steps to reach the property. The walk is only 10 minutes (from the Old Town) though and was absolutely fine for us but may be harder for elderly, disabled or unfit so is worth bearing in mind. 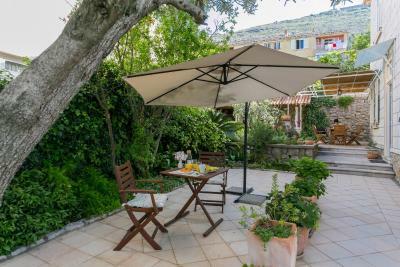 Just returned from a wonderful stay at Villa Benic. We were in the apartment with a balcony. Lovely room, large balcony area with a beautiful view of the fort. Room exceptionally clean and bed comfy. Little added extras such as toiletries/hairdryer/coat hangers etc an added and welcome bonus. Nada welcomed us to the property and recommended places to eat, we tried a few and they were delicious. She bought us fresh juice on arrival and gave us a map and all the information we could possibly need for our stay. She was an exceptional host and really made us feel so welcome. There are some steps in front of the property which lead straight down to the pile gate entrance, approx 10 mins, very easy to get down but not so enjoyable walking back up them! 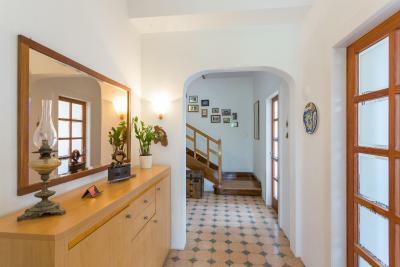 However if you turn left out of the property and continue down the road it will lead you to another old town entrance with no steps, approx 10-15 minutes. Would highly recommend staying at Villa Benic, having such a nice base made our trip all the more enjoyable. Family home as well as a villa - wasn’t an issue but didn’t want to come back late in case we woke anyone up. The shower is quite tiny.